Box Office Collections: Badhaai Ho has entered the 90s now, what with 2.35 crores been collected on Wednesday. The film is maintaining its score of over 2 crore even on the weekdays of the second week, which is very good trending considering the costs involved. If this continues for today as well, the third weekend is set to be bountiful too. The Amit Sharma directed film has collected 91.70 crores already and is now set to go past the 100 crore mark in the third weekend itself. 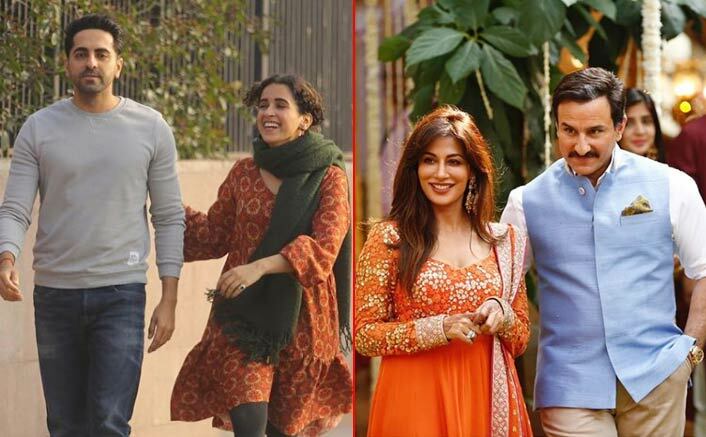 Moreover, it has also gone past the lifetime numbers of Satyameva Jayate and Veere Di Wedding, and in the process has entered the Top-10 grossers of 2018 already. It is next only to Sanju, Padmaavat, Race 3, Baaghi 2, Stree, Raazi, Sonu Ke Titu Ki Sweety, Gold and Raid. Aamir Khan Saw Shah Rukh Khan’s Zero Trailer & His Words Are Just Making Our Wait Tougher! On the other hand Baazaar is staying low. On Wednesday, the film collected 1.30 crores* more and that is not quite optimal. Given the fact that reviews were good and the competition too was minimal in the form of Badhaai Ho, ideally the film should have maintained collections in the 2 crore range at least. However that has unfortunately not quite turned out to be the case which means the numbers so far are 16.43 crores*. The film would benefit to some extent from the fact that there is no major competition in the second week. However that is going to be a curtailed week of just five days since Diwali falls on Wednesday when footfalls are low and then on Thursday arrives Thugs of Hindostan which would capture the entire market. The post Box Office Collections: Badhaai Ho Enters The 90s, Baazaar Is Low appeared first on Koimoi.